Proven through more than a decade of rigorous research to be effective with both teachers and students, Making Sense of SCIENCE helps teachers gain a deep and enduring understanding of tricky science topics, think and reason scientifically, and support content literacy in science, thereby increasing student achievement. The materials presented in this book help teachers gain a solid understanding of tricky science concepts and common misconceptions, support productive and worthwhile professional learning communities, and prepare teachers to implement standards-based science curriculum. Topics are central to the Next Generation Science Framework and aligned with the Common Core State Standards in literacy. 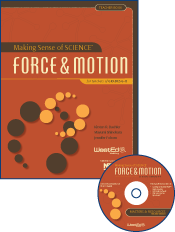 Note: The complete Making Sense of SCIENCE for Teachers of Grades 6-8 professional development package contains the Teacher Book, plus a Facilitator Guide and additional CD. The Facilitator Guide includes extensive support materials and detailed procedures that allow science educators and staff developers to successfully lead a Making Sense of SCIENCE course for teacher learning. Also available as part of this course is a set of wall charts that serve as a focal point for teacher learning during the course. Facilitation Academies, designed to prepare staff developers, district science leaders, and other teacher educators to effectively lead Making Sense of SCIENCE courses, are also available. Teacher Courses offer five days of engaging and worthwhile learning that help teachers implement science and literacy standards and boost student achievement in science. Visit the Making Sense of SCIENCE website for more information about Making Sense of SCIENCE for Teachers professional development books and Facilitation Academies. Wall charts serve as the focal point for teacher learning during Making Sense of SCIENCE courses. 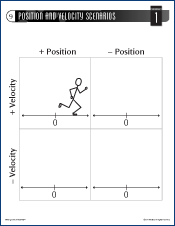 This bundle includes 48 pre-made charts, making it easy to successfully lead a force and motion course for teachers, grades 6–8.